Light up and decorate your home with this Gel candles in wine glass shaped stand along with 12 gel candles. 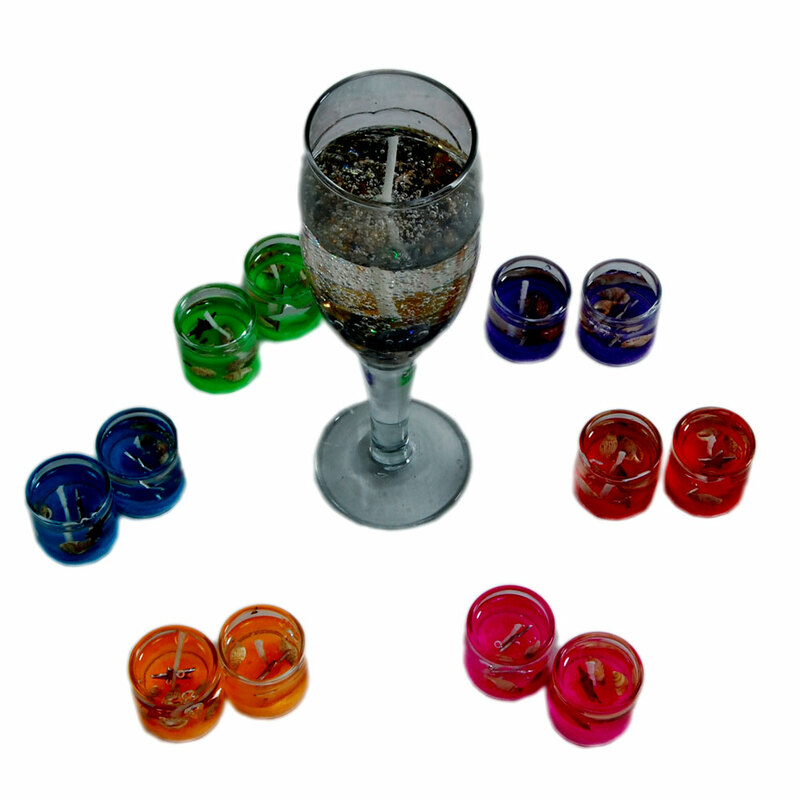 These gel candles in wine glass shape along with 12 gel candles will not only dispell darkness , but also decorate your home on this Read More..auspicious occassion of diwai. This can also be a perfect gift item to your near and dear ones this diwali. The candles will burn out, but the memory will linger in the hearts and minds of your dear ones. Show Less..